Stig Lindberg for Gustavsberg 1940's. 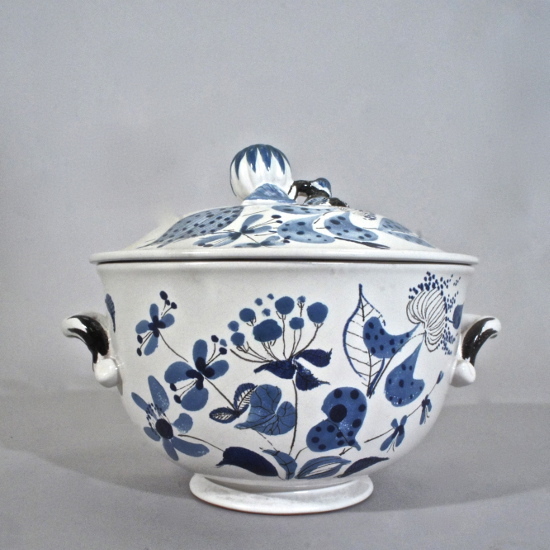 Decorated bowl with lid. Height 16, diam 20 cm.